2D spatial data have been benefiting our world in many aspects for a long time; for example, people applied 2D spatial data to make location-based decision for emergency rescue and strategies developments, increasing the rate of surviving. For land use, authorities could apply 2D spatial data in parcel management; the boundary and details of the certain parcel will be clarified after data visulaizng. It will be very convenient for the public or government to easily get and query information of land. 2D spatial data still plays an important role in the field; yet nowadays more and more people and organizations request 3D for its advantages — making plans become clear as the world we perceived and dispalyed on GIS so that authorities and the public and easily understand. For example, when arranging the strategies of flood managment, experts from different fields can discuss the strategies of disaster management based on visualizd 3D data. 3D visualization becomes the significant bridge of communication between the plan-designer part and the plan-recipient part, giving the whole picture for the specific issues. Presenting strong evidence-based results, the 3D visualization technologies enable experts to apply 3D calculation for better decisions. For urban planners, they could simulate the height of buildings and draw the city skylines of the the city that they have intention of develping. The 3D data is more friendly to non-GIS users while some senarios under 2D environment require imagination to comprehend. The 3D environment that is just like the world we are living in helps non-GIS users understand the development strategies and issues with ease. For instance, this technology can be applied to visualize the distribution of underground utilities and preclude damaging facilities ahead of time. SuperGIS 3D solutions supports not only displaying spatial data in 3D mode, also importing *.las, vector data, *.kml, *.kmz files and so on and displaying data to make terrain or buildings perform like real world. 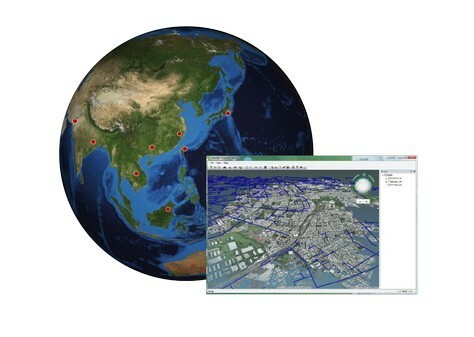 Therefore, Supergeo has built the 3D analyst to provide functions for users to calculate the surface. 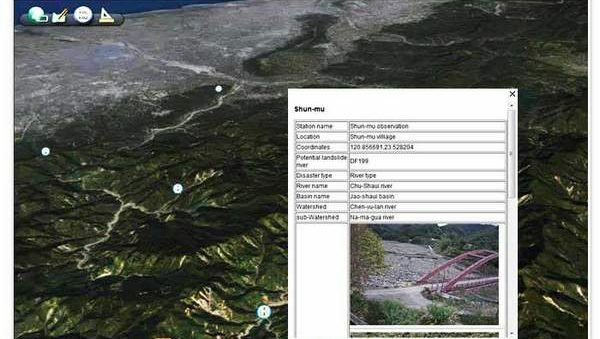 However, as time passing by, people change the way to use 3D data rather than just displaying; now, 3D spatial data can be shared and viewed via web browsers as well. Authorities or experts from different fields can publish their 3D GIS data as web services, and the clients or the public can see, query or measure the spatial distribution in 3D environment through web browsers. *Could I apply my 2D data in 3D environment? *Can I display underground pipelines? *Can Lidar data be displayed as well? *Can I share the 3D map through web browsers? *Can I give my boss with strong evidence-based report about terrain data?